The Client: The client for this project was Rat Race Events, a long-standing Gorilla customer that runs the annual “Rat Race Dirty Weekend” obstacle course race at Burghley House Lincolnshire. 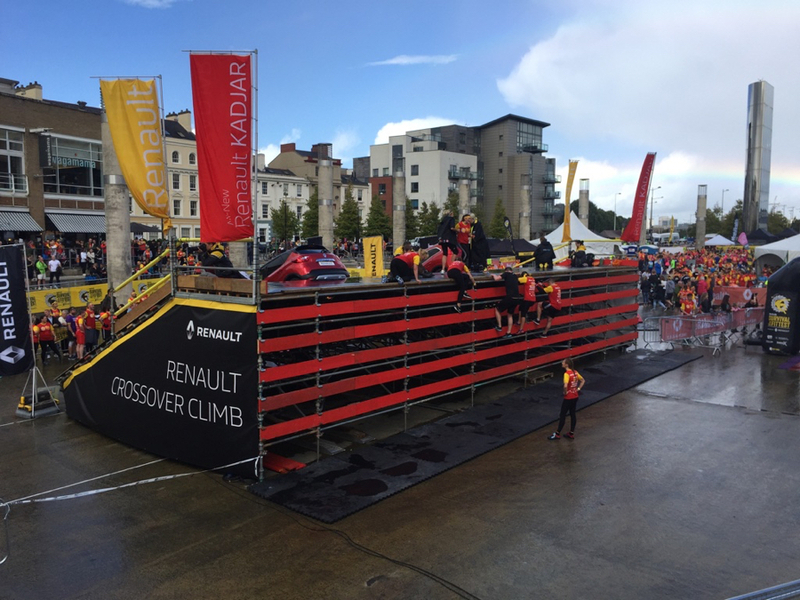 The Challenge: Gorilla was asked to create a temporary structure featuring inclined travelators and climbing bars to act as an obstacle for the Men’s Health Survival of the Fittest Tour, July 23rd to October 29th. 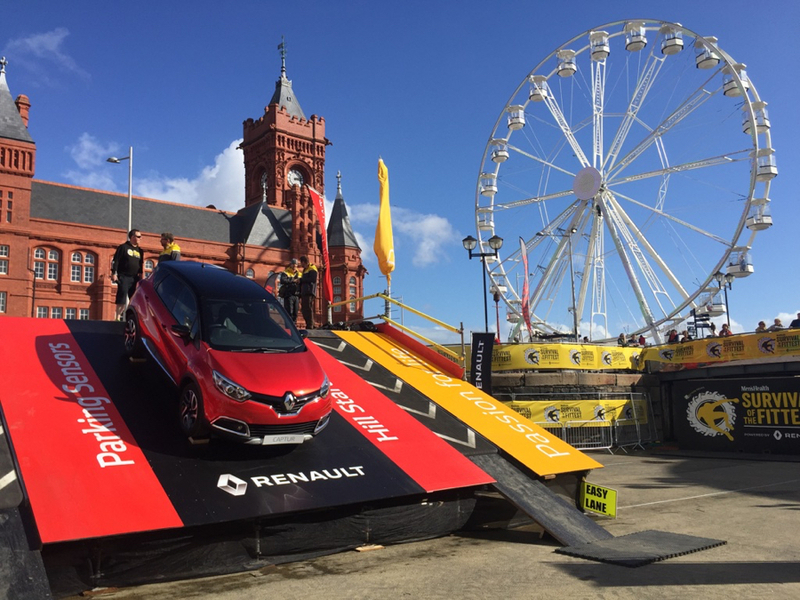 The temporary ramp and travelator also needed to accommodate two Renault cars on display, three travelator strips, and climbing bars at the back to facilitate dismounting. Competitors would be directed to run up the downward moving travelators, a.k.a. 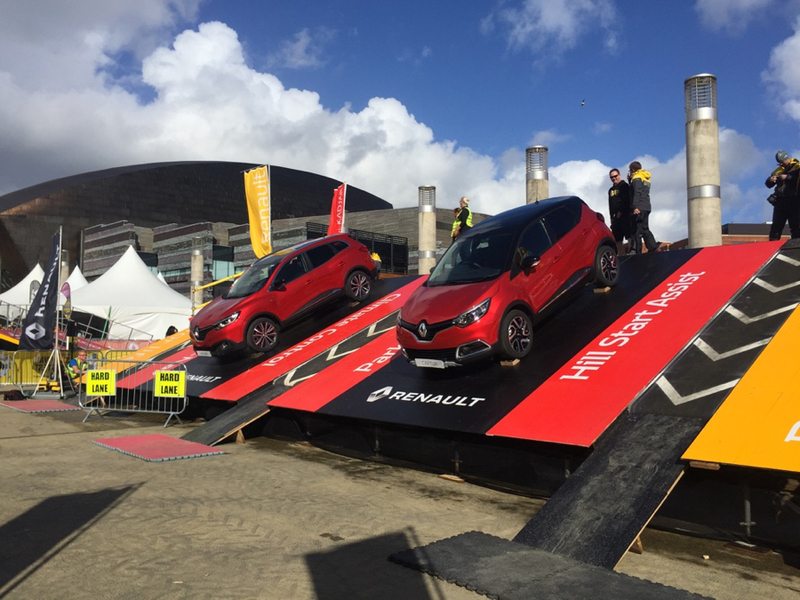 “The Renault Crossover Climb” and climb down the bars the back. 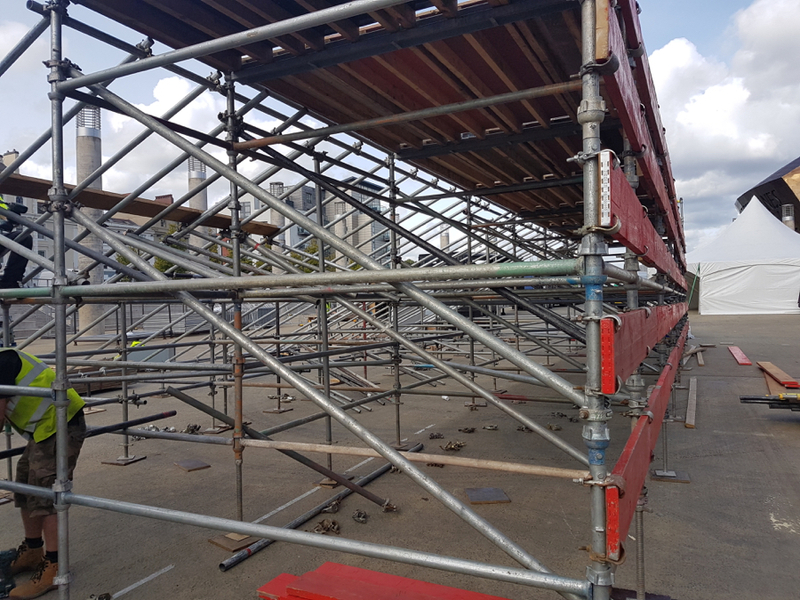 The solution: Gorilla completed the design and construction of the three-lane travelator obstacle within 2 months of the initial brief, using the Cuplok scaffold system with tube and clip to create the inclined ramp. The structure needed to have sufficient strength to support two full-size cars safely, and carry the three travelator mechanisms. 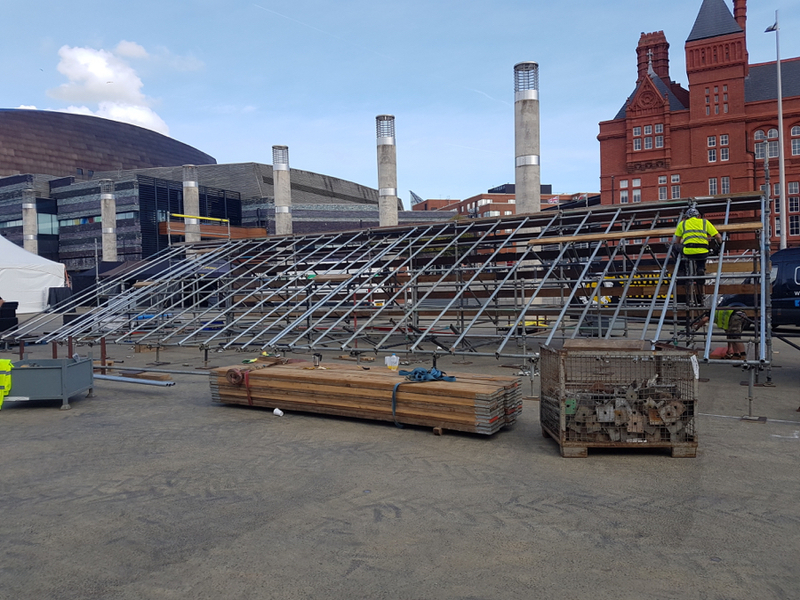 The final structure measured 17.5m wide, with the three 6m long travelators separated by the two vehicles and branding graphics. 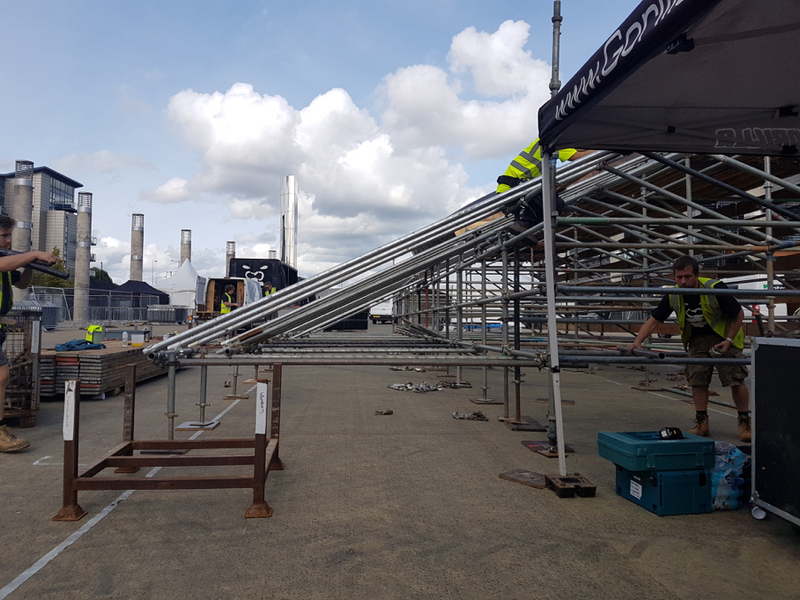 The structure was designed and test-built at Gorilla HQ before the 5 person Gorilla team embarked to install the Renault Crossover Climb over 2 days at its first destination in Wembley. 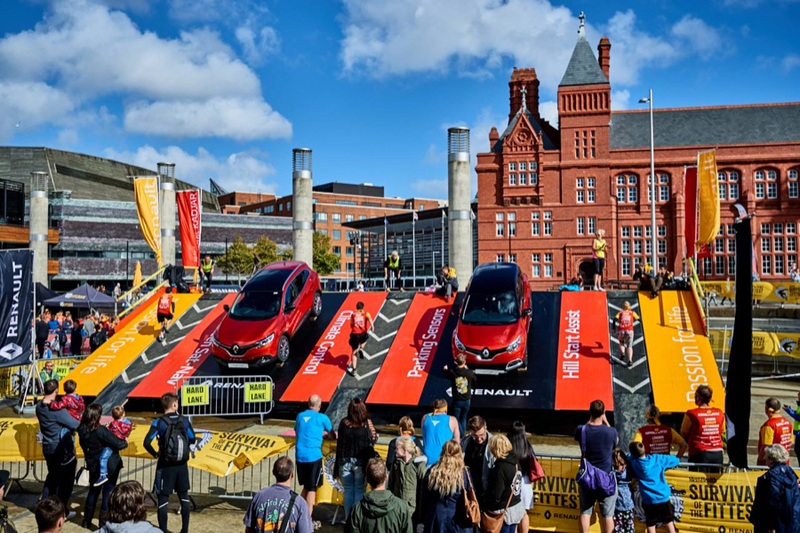 The result: Both Renault and Rat Race were delighted with the final result that not only proved to be a popular obstacle with both visual appeal for spectators, but a significant challenge for competitors. 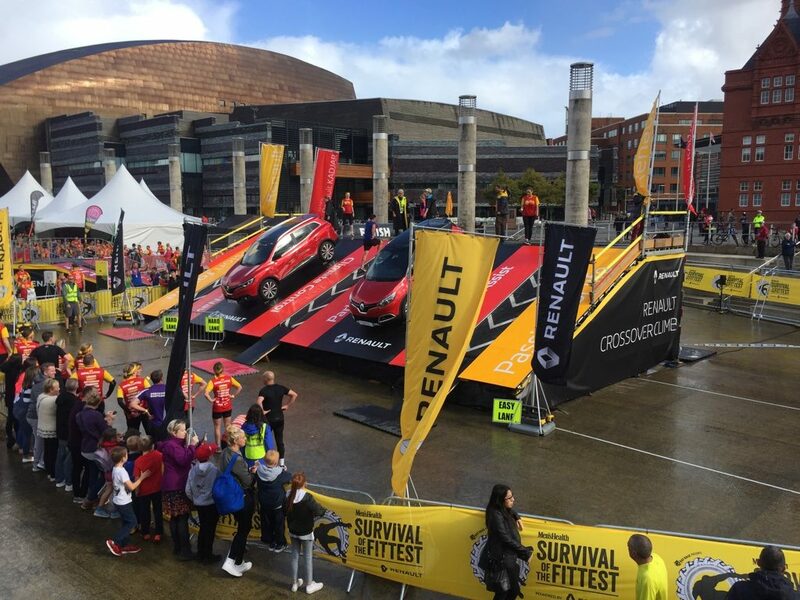 With its prominent position on the course, the obstacle was an eye-catching structure with two cars parked and inclined towards the audience, offering a unique viewpoint over the vehicles and a clear view of the branding graphics. The addition of competitors running up the downward moving travelators ensured that all eyes were on the structure throughout the race. 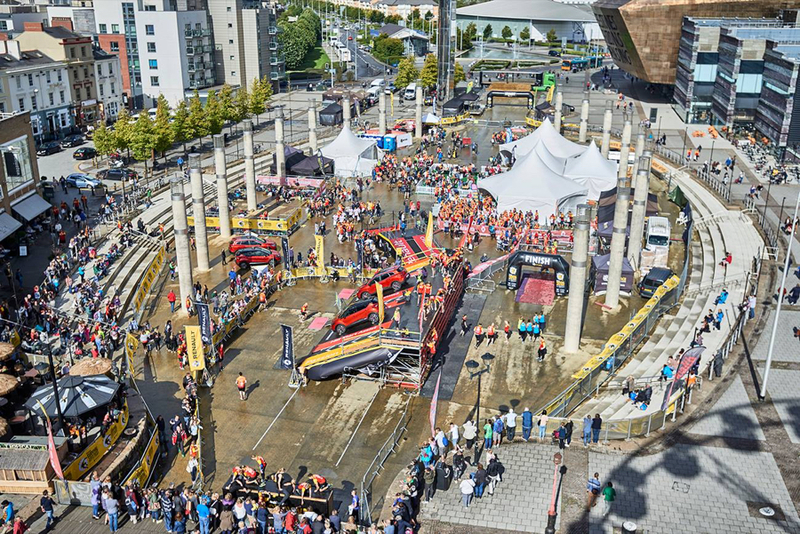 The travelator structure was first deployed at Wembley and then continued on tour with the Men’s Health Survival of the Fittest event as it moved around the country during the Summer and Autumn of 2016.